I consider myself to be a savvy shopper. I do a bit of research, compare prices, and always, ALWAYS look for a coupon. I even ask my girlfriends if I can't find one. And chances are, one of them might just have what I am looking for. While it is nice to see the total discounted price at the bottom of the receipt, wouldn't it be nice to actually have that money in your hand? Ibotta is a free app that takes only minutes to set up and get you to saving. You basically log into your app and select the store you are going to (it not only includes grocery stores but Target, Sephora, Macy's, and even Best Buy). You take a quick look at what the rebates are out there and select the ones you want to get. It even has a great selection on non brand items so you can profit right away from there. Next, go to the store and shop away using any kind of coupons you have or don't have. It doesn't matter. 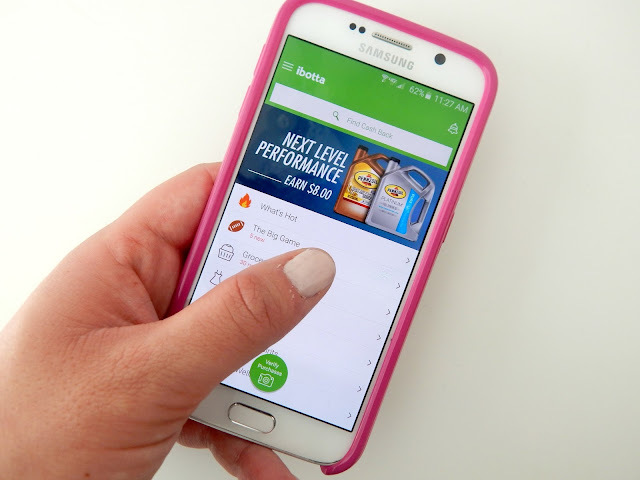 Once you get home you simply load up your app again, verify your purchases by scanning in the barcodes, and then uploading a picture of the receipt. That's it! Now what happens to the rebate money you ask? Well that's the best part, isn't it? You can withdraw it for $25.00 gift cards to places such as Amazon and Starbucks among others, or you can transfer the funds straight into your Paypal account ($20.00 minimum). So you see? It does pay to shop! Ibotta also offers ways for you to save and gain even more! There are bonus offers that you can unlock as you go and get extra rebates there. But the best way is to grow your team! If you join my team and redeem your first rebate, you instantly get $10. And in full disclosure, I would get $5 as well. It's a win win! Join my team here! This is not a paid advertisement nor do I have any affiliation with Ibotta. I simply have been using this app for about a month now and have already made $94.50. So don't wait any more, and join my team! And if you are wondering what I did with the money, I bought my wedding shoes and had money to spare. Download it now! Super excited to look more into this! Thanks so much for sharing! Hey that's great! Seriously it is worth it! Yes! Stay on it! Look at it right before you go and do some light meal planning around it. I promise you will start to accumulate the rewards! Thanks for stopping by! Yes! And this month already I am coming close to paying another wedding item. This app rocks!